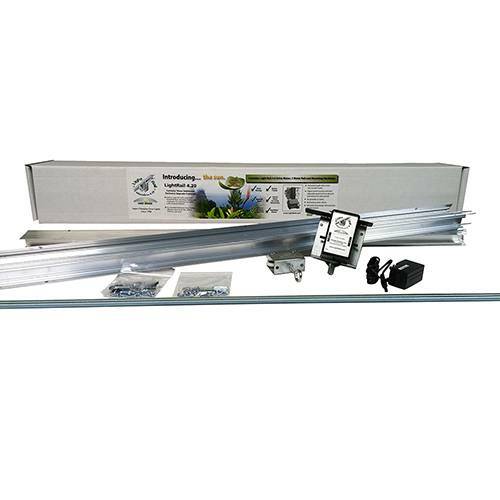 Light mover grow racks are smart and efficient, resulting in significant yield increases per sq ft.
Light mover grow racks combine two brilliantly efficient concepts together for more yield per light plus more yield per square foot. Grow room efficiency is as important as anything. 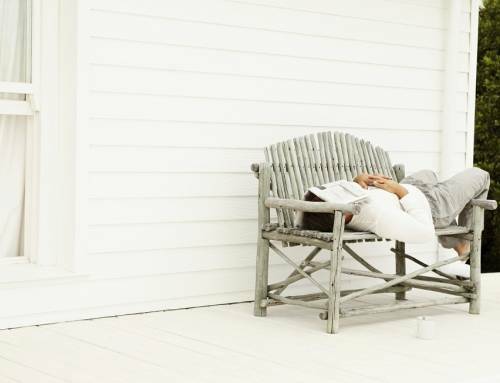 Because of this, we should be smart with our grow equipment, absolutely. So, combining two brilliantly efficient concepts together into light mover grow racks makes sense. 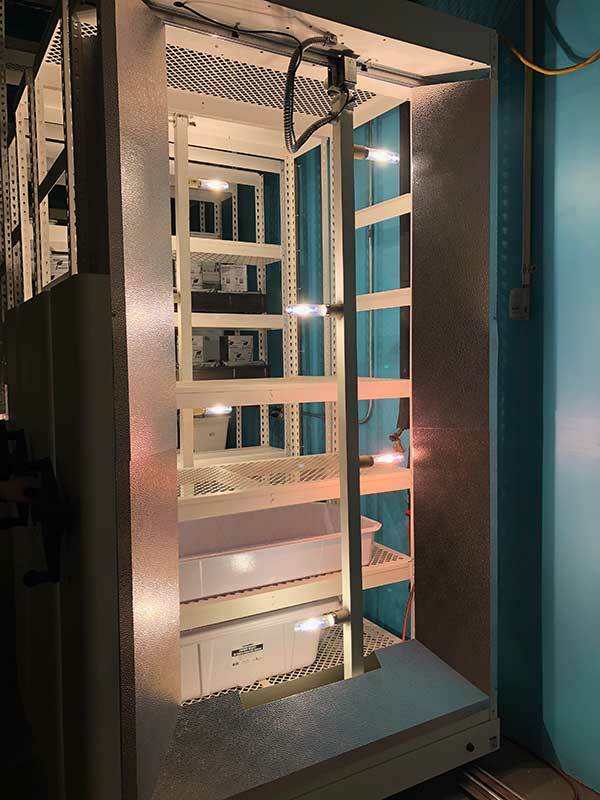 The grow racks give us serious space-saving advantages, as can be seen with Brighterside Vertical Grow Racks. That grow equipment configuration obviously equals higher yields per square foot. And, the grow light movers give us significant yield increase per plant. And, at the same time, we get more area covered per indoor grow light. So, we win, win and win again. Light mover grow racks have those obvious advantages that our eye can see and our logic can piece together. So, it’s absolutely a growing equipment advantage to combine these two products. But, how does this combined indoor grow room setup, with the light mover grow racks, work? 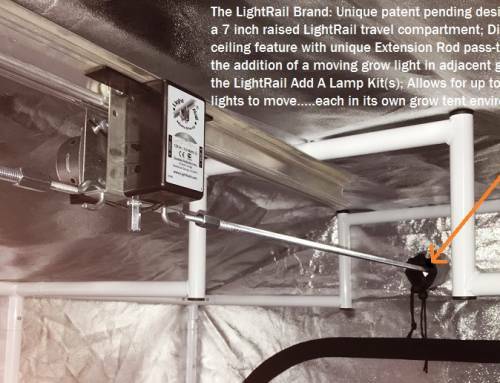 How does the grow light system work with the grow racking and the light mover rail? 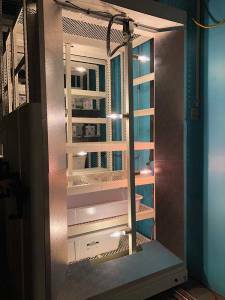 Indoor grow kit racks do vary, and there are some awesome grow rack companies out there. 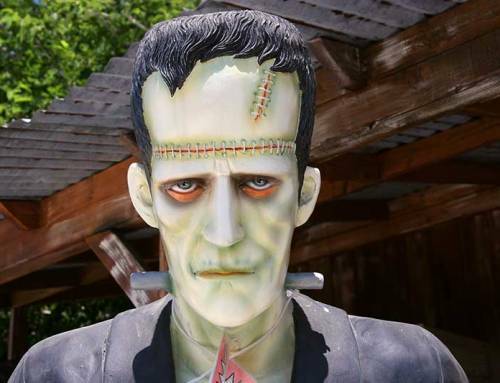 Their materials vary, as well. 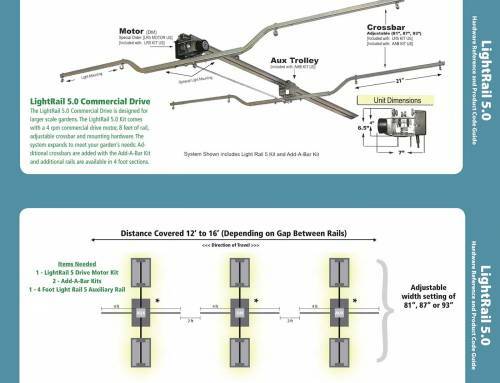 For grow equipment that has a strut channel build, LightRail light movers have a custom strut channel compatible rail. And, the special hangers for those light mover rails allow the indoor grow lights to move in-line, perpendicular, at a 45 or at any angle. That’s in relation to the strut channel, also known as Unistrut. That grow room design detail allows for a lot of grow room setup flexibility for our grow light systems. Those grow light systems, because each is moving on the light mover rail, can fill in every square foot with indoor plant light. 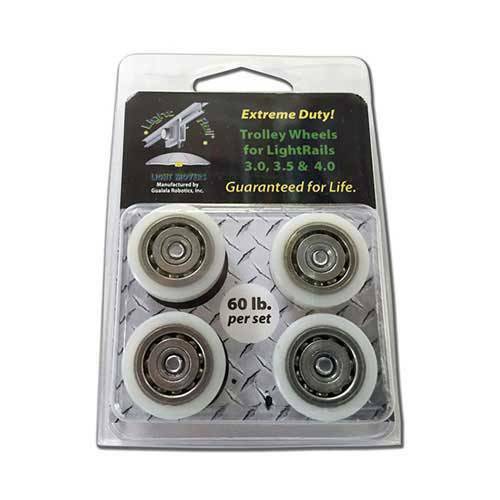 And, using the Strut Channel Compatible Rail means we would purchase our LightRail Motor on its own, whether the LightRail 3.5 Motor or the LightRail 4.0 Motor. Even without strut channel in place, the regular light mover rail can work very effectively. Some of the best grow rack companies include grow light movers. Brighterside Vertical Racks, with link above, include LightRail light movers so it’s all ready to go. And for how it all works, here is how a moving indoor plant light affects our results. First, grow racks are somewhat limited in height and that’s just a growing equipment reality. And yet, light mover grow racks help us with this grow equipment feature and work to our advantage. That’s because when the indoor grow lights move along the light mover rail, we can now do this. We can get closer to the canopy with the indoor plant light. And, that’s without any hot spots or zoned grow light overkill. That grow light system detail is hugely important in the spacing of grow rack shelves. Plus, the actual rail and motor of the grow light mover might only take up about six inches. That only needs mentioning if the light is within the shelf. But, because the grow light system is moving, we more than come out ahead because we can now get the indoor grow lights right to the canopy and without the heat worry. 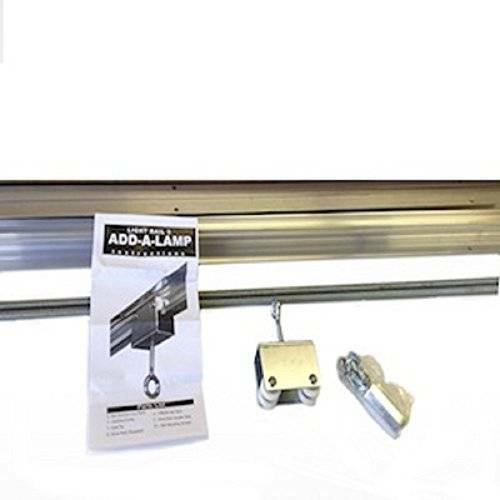 That’s a benefit within the shelf or in a pathway configuration as vertical moving lights. Either way, we could never do that with stationary grow light systems. Just as important as allowing the indoor grow lights to be safely positioned closer by moving them with grow light movers, we see this. 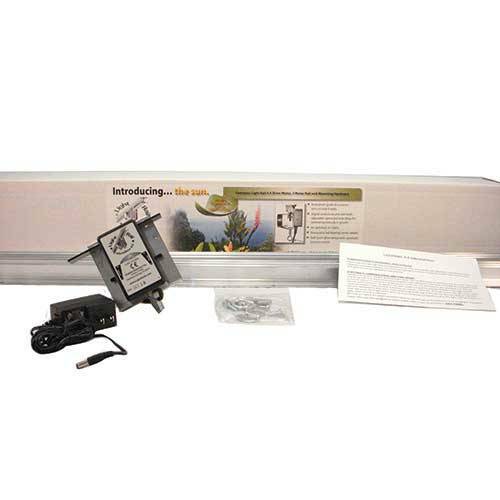 Light mover grow racks allow the indoor plant light to reach more of the leaves. The result of that growing equipment detail is that now, more of those leaves are working for the good of the plant. Here is a good way to understand this moving grow light system interaction. 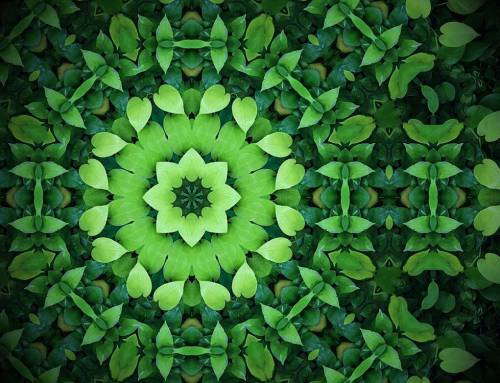 Each plant is similar to a factory and each leaf area of that plant is just like a worker. If you have just the top portion of each plant working for the factory, your yields will be limited. But, if you can get the indoor plant light to angle in and reach all the middle and lower leaves, then production is up. Yields take off when the leaves are exposed to powerful but intermittent indoor plant light. It’s how they can best use light and that’s actually just how the sun works. Light mover grow racks are two high performing concepts that, when combined, give us incredible results. It’s the grow light mover that compliments the space saver aspect of the grow equipment racking. This grow light system edge gives these vertical spaces huge advantages. And, our grow light system can then reach more horizontal area, more “into the canopy” area and it can do it with a closer grow lamp footprint. Our yields increase significantly because of that grow light system interaction.